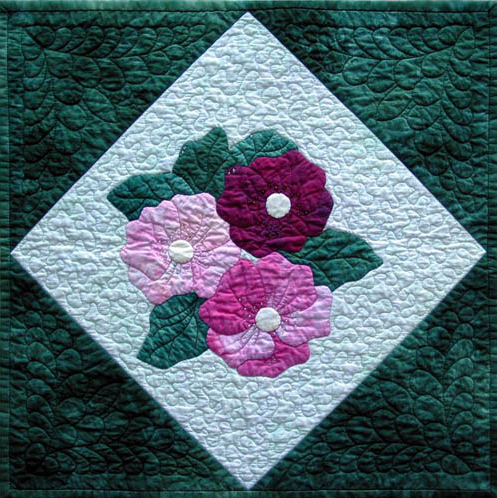 Several appliqué techniques are taught in this class, including faced appliqué, freezer paper, reverse appliqué and three dimensional appliqué. Since the object of this class is to teach techniques that duplicate the look of time-intensive hand work without actually having to do any, no fusibles are used. Class duration is 4 to 6 hours, depending on practice time.